You’ve made it! You’ve finished your degree, or completed your PGCE. It’s been hard work, you are exhausted, and you’ve landed your first teaching job. Fantastic news! But now the real work begins. Probably for the first time, you are walking into a classroom that has bare walls, books piled up in a corner and tables everywhere. And it’s all yours. Exciting yes. Overwhelming – even more so! Where do you start? 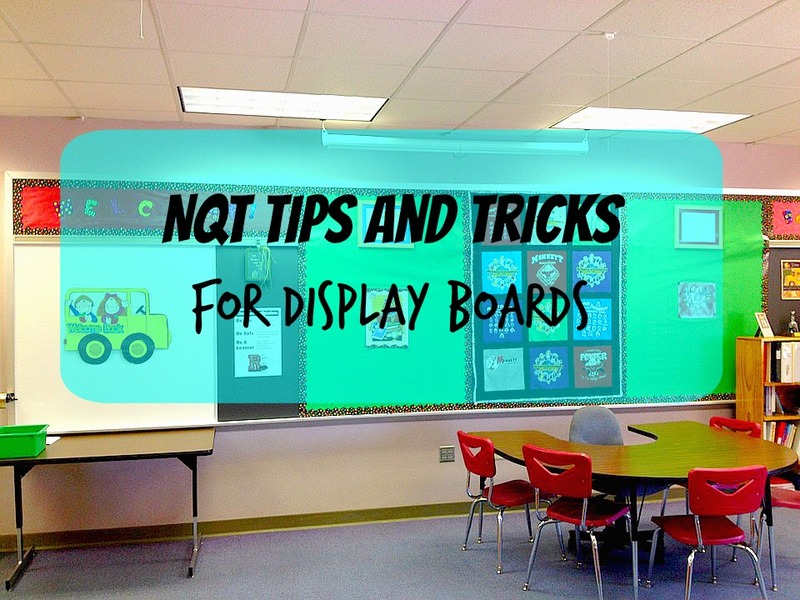 Well, here are my NQT tips and tricks for setting up your display boards. As tempting as it might be to spend the summer sourcing websites for display material, laminating and cutting out – DON’T!! Firstly it will take a huge amount of time (believe me – I’ve been there!) and secondly more often than not your hard work will just turn into wallpaper. The best display boards are the ones that move the learning forward and the children have ownership of. The worst?? Ones put up by teachers that mean nothing to the children! So the best way forward? Put up headings for each of your display boards. Best choices are Maths, English, Science and Topic. You might also want a notice board for you to put timetables, class information etc. If your children did any work on Move Up day, it’s always nice to create a display out of these – it gives great ownership to the kids. Make it interactive by adding questions or statements to it. Put some key vocabulary for your first topics onto each board to be used as you go along. Look at the different languages the children in your class speak and create a ‘Welcome’ or ‘Hello’ section including all of these languages. This can look great on your classroom door. Think about your Topic for the first half term, and research into an exciting backdrop you can add to your Topic board. For example, when I was doing Kensuke’s Kingdom in Year 6, I created an island as the backdrop, which we then added to as we went along. Use your display boards as working walls. Whenever you have done some modelled writing with the class, or have demonstrated a new maths skill, put it up immediately onto the relevant board. It may feel scrappy, and it is, but I can guarantee that the children will refer back to it every day, and you can use it to recap in the next lesson. The best thing about working walls is that they are fluid, and when you have finished with one section, you can just take it down and bin it! Put examples of children’s work up to show understanding of a key concept. Don’t ask them to rewrite it for display purposes (unless you are using it as a handwriting lesson! ), just photocopy their books, include your marking and their corrections, and make it clear with labels what they have learnt. Use questions on display boards to encourage deeper thinking, and then use these questions in your teaching. Don’t spend hours and hours colour printing and laminating anything. Especially if you are doing it in school! School budgets are tight these days, and Headteachers really don’t appreciate it all being spent on colour printing and laminating! Don’t start any displays before you check with your Headteacher or NQT mentor about whether there is a particular style the school uses. Some schools want all the display boards to be a particular colour, have a certain handwriting style or follow a certain pattern. You don’t want to spend hours putting up displays just to be told that they aren’t compatible with the school style. Don’t overwhelm your classroom, and your children, with too much. A few notices about what good learning looks like above the whiteboard, and a number line above the Maths board should be more than enough. Anything with small writing on will NOT be read by the children, no matter how many times you direct their attention to it! But most of all – enjoy your new classroom. Having a classroom of your own is a wonderful feeling! I’d love to know if you have any other tips and tricks about setting up display boards for NQT’s. Did you find anything particular worked when you set yours up for the first time, or any ‘don’ts’ that you’d suggest NQT follow? Let me know in the comments below. It really can!! 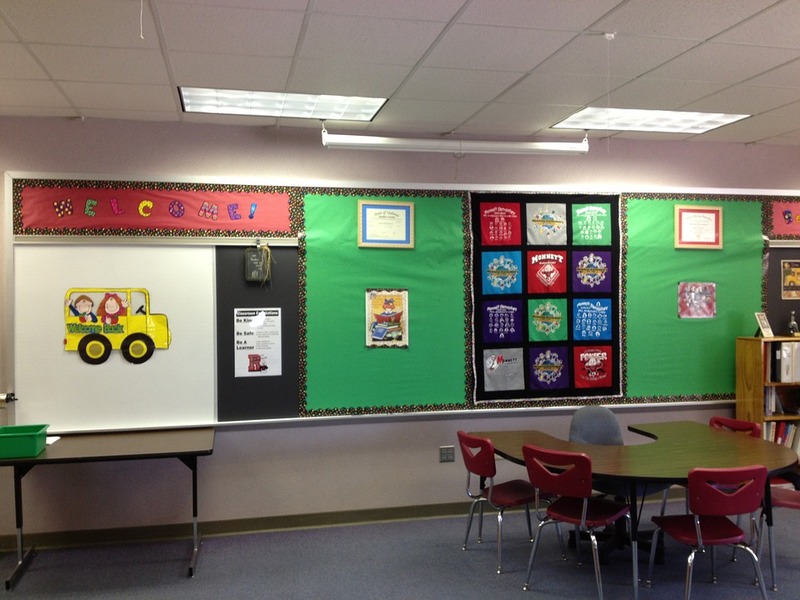 I think I literally spent my first summer creating my first classroom – most of which was never looked at by the kids!! Look at all these teachers posting their displays “works of art”, where’s the children’s input? Keep it simple. Less is more. Let the children decide what learning prompts are needed for the displays. Cluttered walls just lead to confusion. Absolutely!! That’s exactly what I aimed to do – it’s all about the learning, not about the prettiness of the walls!! These are awesome suggestions. My kids’ school has tons of kids who speak other languages so I especially love the idea about a welcome board with all the kids’ languages represented. Thank so much – I do think it’s really important to make sure that all the children have their languages recognised and celebrated in their classrooms – it not only gives them ownership but encourages respect of other languages and cultures amongst the rest of the class! Very practical and adaptable ideas. It’s so right children always love to see their own work rather than boards done by teachers. Absolutely – I think putting up the children’s work is so key for them to see the progress and learning from each other! Hi, and welcome to The Newby Tribe. I’m Cherry, a former teacher and Headteacher of over 10 years, former home educator and a mama to 2. Now I spend my time trying to figure out how on earth to create a stone age man/spaceship/dragon/random word costume out of two toilet rolls and three pieces of sticky tape! Join me as I show you great tips, hacks, inspiration and advice to release your inner creative, no glitter required! No Mess Painting With Paint Sticks!